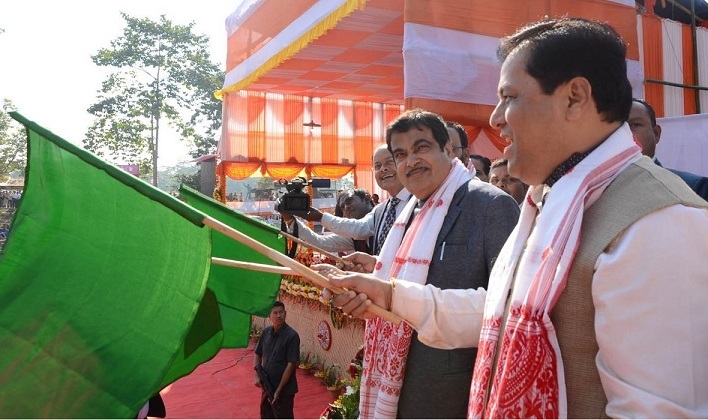 Nitin Gadkari flags off cargo movement on Pandu-Dhubri route in Brahmaputra river on 29th December 2017. This largely untapped sector has great potential, and has plenty of cost advantages. Stating that modern and well-equipped river ports will be established along the banks of the river, the minister said transportation of cargo through the National Waterway 2 - from Pandu in Guwahati to Dhubri along the Assam-Bengal border will reduce logistics cost and save 300 km road travel.